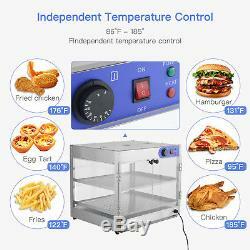 24"x20"x20 Countertop Commercial Food Pizza Heat Warmer Cabinet Display Case. Strong and Light weight Stainless Steel Construction. Unique Design for Better Airflow. High Impact Tempered Glass Door. 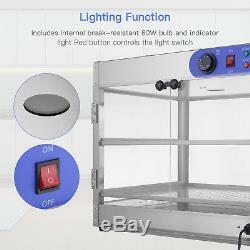 25W Internal Light Bulb Included. Overall Size: 24"x20"x20. Distance Between Shelves: 6.2 inch(2 Removable Shelves). Material: Aluminum & stainless steel. Maximum safe continuous working hours: 8hrs. 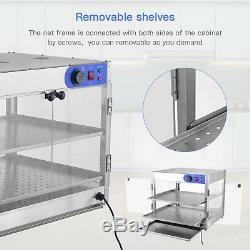 Product Description A commercial counter top food warmer display case is an essential piece of equipment for any food service establishment. It is the best way to display merchandise to show customers your food and beverages while storing items at a healthy temperature. 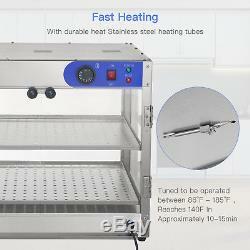 It constructed of thicken steel glass around with heat resisting and thermal insulate. 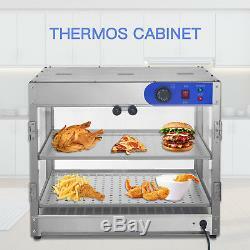 This unit is perfect for self-serving at concessions stands, food courts restaurants and corporate dining areas. Get ready and having your items on display to increase sales while keeping your storefront visually appealing with this! 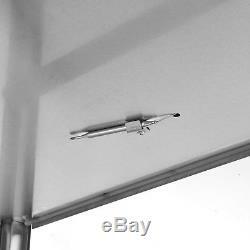 Strong and Light weight Stainless Steel Construction Unique Design for Better Airflow High Quality Hinged Doors High Impact Tempered Glass Door 25W Internal Light Bulb Included. 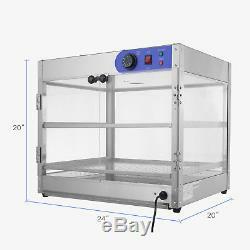 Specification: SKU: 3061900500 Overall Size: 24"x20"x20 Temperature Control86°F-185°F Distance Between Shelves: 6.2 inch(2 Removable Shelves). 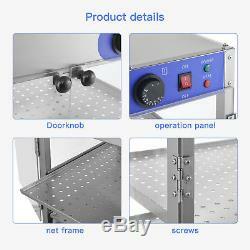 Material: Aluminum & stainless steel Maximum safe continuous working hours: 8hrs. 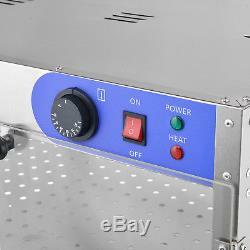 Voltage: 110V Frequently: 60HZ Power: 800W N/W: 21KG. Package Content: 1x Commercial Food Warmer 1x User Manual. AMAZING PRICE No physical stores. However, if for any reason you are not, please follow the following instructions for returning products. We normally answer you within 24 hours. Our customer service team will contact you with all the necessary procedures. We will ask you to send us a photo of any damage for our own records to assist us in taking appropriate action. If your complaint appears valid we will arrange for collection of the item by our courier, who will propose a certain collection date. If you want to return our goods, you will need restored the original packaging (if the original packaging is lost or damaged, you have to pack by yourself), so that we can arrange collection. However, you will be charged for the collection costs for you item. Once you have notified us of your unwanted item, we will arrange for collection of the item by our courier, who will advise you a proposed collection date shortly after. Be the first to know our new products, special offers, news and events. 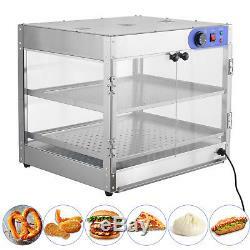 The item "24x20x20 Countertop Commercial Food Pizza Heat Warmer Cabinet Display Case" is in sale since Monday, October 1, 2018. 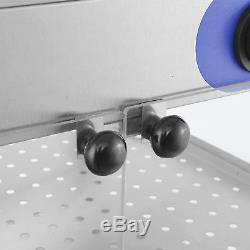 This item is in the category "Business & Industrial\Restaurant & Food Service\Commercial Kitchen Equipment\Storage & Handling Equipment\Heating & Holding Cabinets".bi" and is located in New Jersey.